A common household name in education in the province of Bohol and other neighboring provinces in the Visayas and Mindanao, the first International College in Bohol, Philippines. 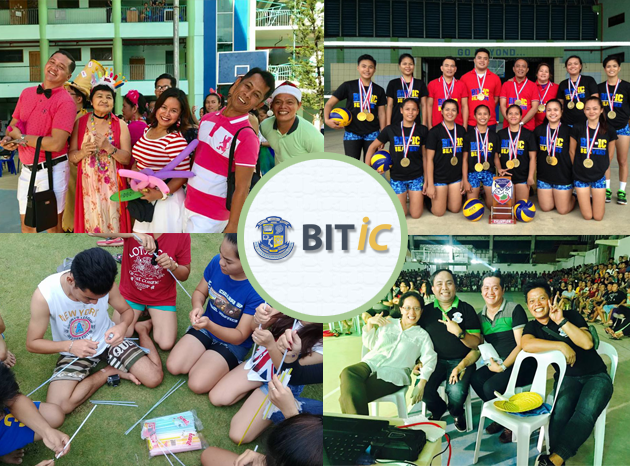 Established in 1981 in Tagbilaran City, Bohol, Philippines, BIT International College has evolved into a system-wide educational institution composed of 6 campuses. 5 campuses are found in Region VII – 4 in the province of Bohol, and 1 in the province of Siquijor, and another 1 in Agusan del Norte province, Mindanao island. The main campus (BIT International College – Tagbilaran) is located in 100 Gallares Street, Tagbilaran City, Bohol with an annex campus in barangay Dao. The other 3 Bohol-based campuses are in Poblacion, Jagna (BIT International College – Jagna) stablished in 1986; in San Jose, Talibon (BIT International College – Talibon) established in 1993; and in Katipunan, Carmen (BIT International College – Carmen) established in 1998. The BIT International College – Siquijor campus established in 1995 is located in the municipality of Siquijor, Siquijor. The lone campus established in Mindanao in 2001 – the BIT International College – Butuan is located in R. Calo Street, Butuan City, Agusan del Norte.